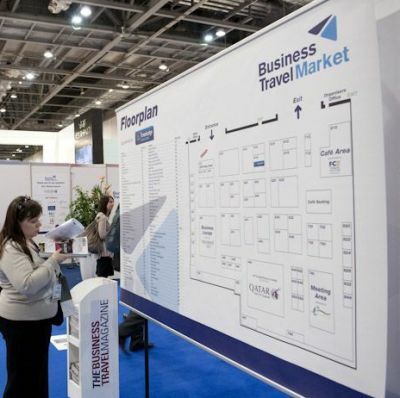 Now established as a very serious part of the travel scene the annual two day Business Travel Market (BTM) at London Excel exhibition centre again attracted an enquiring audience willing to listen, talk and ask probing questions. Perhaps the only criticism was the use of the hall's conference facilities for the convention sessions. These tended to reduce the numbers in the main exhibition hall. Facilities could have been provided in the adjoining space. 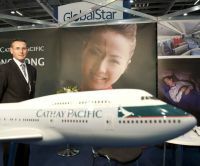 A noticeable non-attendee was British Airways, who also do not appear at World Travel Market in the same venue. 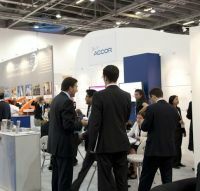 BA is keen to promote its activities at London City Airport which virtually adjoins Excel and were missed at the show. Platinum sponsor Qatar Airways in many ways stole the occasion with the announcement from Paris as Skytrak’s Airline of the Year. Key to the success of the show was the “hosted buyer’s” scheme which attracted more than 300 top travel purchasers from over 20 countries. 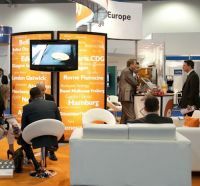 An estimated 2000+ meetings took place with exhibitors. For the opening session keynote speaker Etihad Airways CEO James Hogan dispelled the myth that the airline wasn’t worried about profit and didn’t pay for fuel! In fact he confided that the carrier gained its best deal on fuel in Singapore rather than at Abu Dhabi! 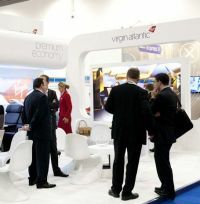 When asked if there was any chance of Etihad Airways buying a share of Virgin Atlantic, Hogan didn’t categorically deny it as a possibility but did emphasise that working with partners – currently it code shares with 30 airlines – was the expansion direction the airline was taking. Asked by AERBT for its views on economy plus he claimed that Etihad did not need an extra class. “Our back end is better than many premium economy products,” he said. Sessions on high-speed rail, the so-called “two minute pitch” and keeping pace with technology followed. 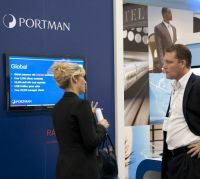 Those on the platform included Anne Godfrey, Chief Executive, GTMC; Nick Mercer, Commercial Director, Eurostar; Paul Simmons, Commercial Director, easyJet; and Titus Johnson, UK General Manager, Air Berlin. Keeping everyone awake after a very much working lunch (wine and sandwiches) was Richard Newman, Director of UK Body Talk. Mr Newman had the audience jumping around to find their natural standing position and got the assembly speaking Nepalese by using body language to communicate what words meant. Only it wasn’t Nepalese but that was Mr Newman’s point – he could communicate through body language! Controlling posture, legs, arms and tone of voice were all components of this session to get the delegates communicating with confidence. Social media came in for discussion and the role it is playing, and will play for the future. Networking opportunism has proved to be an excellent occasion to exchange comment on both pricing and product comparison in recent times. Will this be overtaken by Facebook and the like? Excel is a venue for next year's London 2012 Olympics. 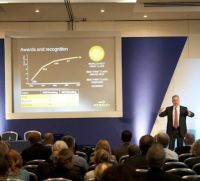 Paul Deighton, CEO, LOCOG (London Organisation Committee for Olympic Games), and responsible for the infrastructure of the total games took to the stage to outline the progress and the impact the event will have on the travel and transport industry. At an earlier session it was noted that LOCOG had taken 65% of the branded inventory in London. The main message from speakers IHG’s Paul Edwin and BSI’s Trevor Elswood was that TMCs and travel buyers must have conversations with and negotiate with their hotel suppliers NOW to determine travel policy to London during the Games and work with suppliers on contracted rates. Portman Travel, media savvy, used the opportunity to launch a new fully mobile, revolutionary itinerary tool the Portman Trip Planner (PTP). Powered by the travel technology of software partner Truvle, the web-based tool provides business travellers with everything they need for a productive trip at their fingertips including useful information for each destination. Users can access weather (for knowing what to take with), restaurants, events and maps. It works across any mobile device or platform that has an internet connection. Rival Chambers Travel Management launched the first of its Qi suite of mobile technology solutions, iRequest Mobile, enabling Chambers clients to use their smart phones and hand held devices to research and request the booking of flights, Eurostar and trains. Chambers says that other TMCs have focussed on ‘apps’ that begin their use once a booking has been made and provide information around an itinerary, the Chambers ‘app’ is built with planning and booking in mind. BTM chauffeur partner Cabot Global used BTM to announce a refreshment of its 200-strong fleet of luxury cars. Cabot Global CEO Farooq Saleem said that a number of 7 and 5 series BMWs and e and 5 class Mercedes would be joining the fleet in the next six months. Cabot Global provided the chauffeur drive transfers for the PA travel buyers invited to BTM. In a session entitled ‘Back to the Future? How important is a travel policy, control and process cost transparency?’ Chambers Travel Management’s CEO, Chris Thelen, spoke out against the increasing unethical practices that threaten to put the reputation of some UK travel management companies at risk. Thelen presented a clear and detailed description of how airfares known as ‘nett’ or ‘negotiated’ fares that are sold to the TMCs by airlines in ‘wholesale’ fashion are a benefit to corporate customers who may not have their own discounted fares on a particular route. He said the ‘mark up’ by TMCs varies widely. He also condemned the practice of marking up published fares. In the debate that followed unbundling airfares was also discussed with Thelen calling for corporate buyers to "be diligent when reviewing performance and pricing methods." Linking into this year’s BTM theme of ‘Optimising Business Performance’, a session on day two entitled "Understanding the demands of travel on the body and what can you do to keep body and mind in the zone' saw Optima Life’s Simon Shepard discuss his findings around how travellers’ recovery times vary dependent on a range of factors, from class of seating and alcohol consumption, to individual factors such as variable heart rate and general health. There may be a link here with another involving Tony D’Astolfo, Senior VP Travel Services, Rearden Travel and Stefan Wagner, CEO, mvolution, discussing how ‘It’s time to get to grips with mobile.’ It was noted that currently there are 33m downloads per day from the itunes App Store, with an additional 3m downloads to the Blackberry. Is there a link between the mental strain and the physical one?